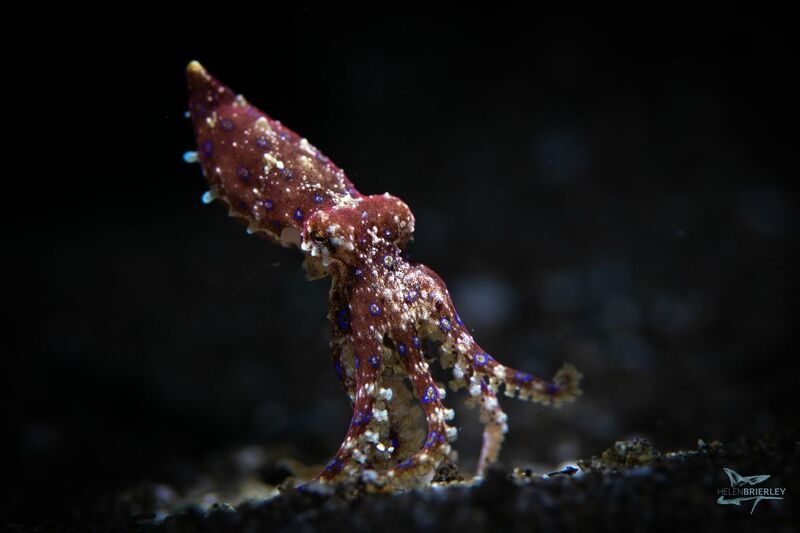 This is our 8th year running trips in Anilao, and it never fails to amaze us. 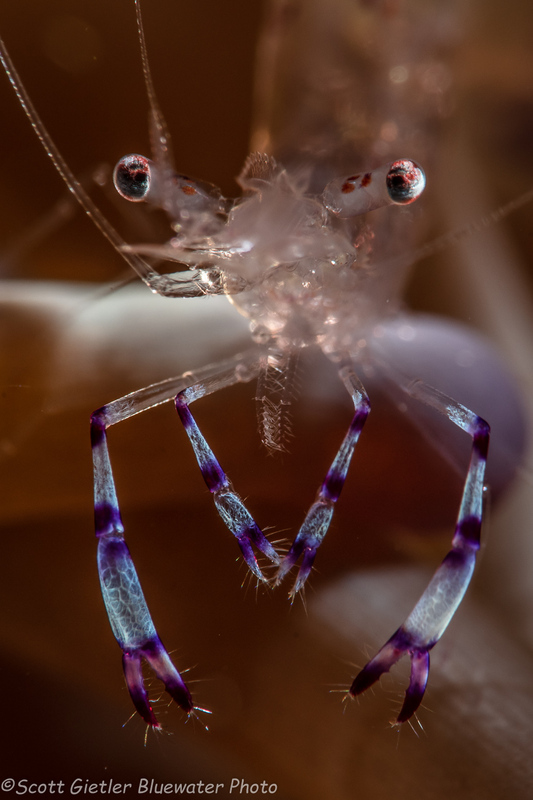 This year brought us a bounty of critters and macro subjects, both on the dive sites and in "blackwater" during the night. Read on to hear all of the details! 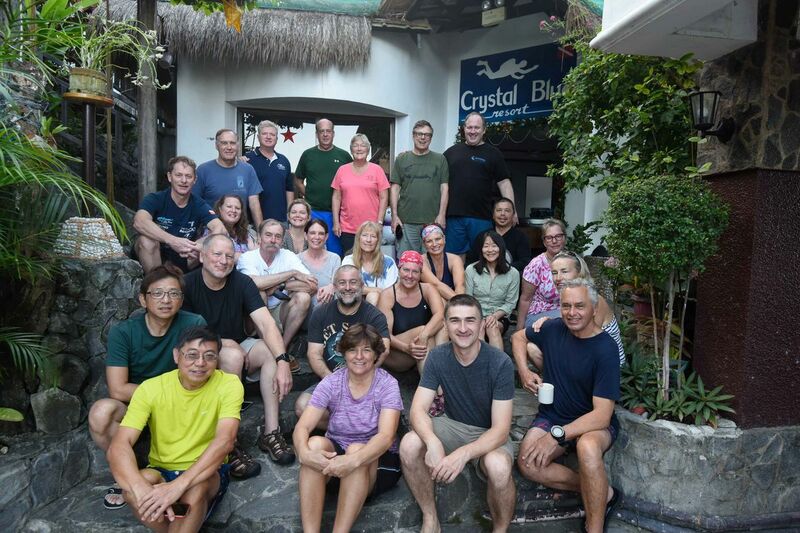 24 guests joined trip leaders Scott Gietler and Craig Dietrich, along with Crystal Blue manager Mike Bartick, for 7 to 10 days of fabulous diving and critter hunting. Anilao is a 2.5 hour van ride south of Manila, and boasts some of the richest waters in the world with respect to marine life diversity. 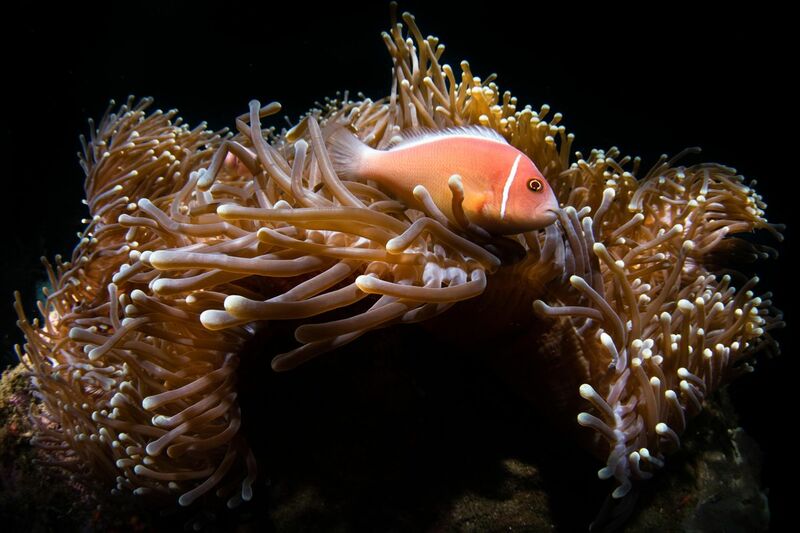 It is in the heart of the coral triangle, just about every rare or interesting Indo-Pacific reef fish or critter can be found here. Not only that, but the guides are second to none, and the resorts are reasonably priced. Dive sites are usually a 5 to 20 minute boat ride from the resorts. 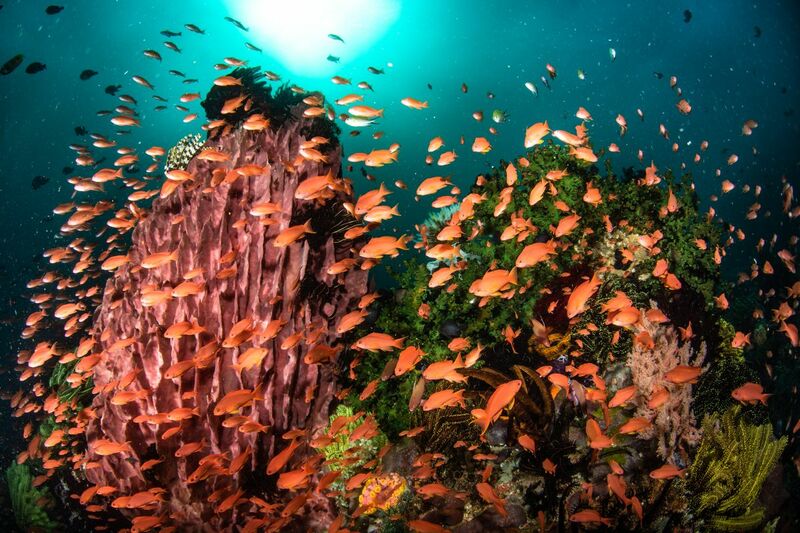 Anilao can be dived all year round, although there is sometimes wind and rain in the summer Monsoon season (late June to early November). 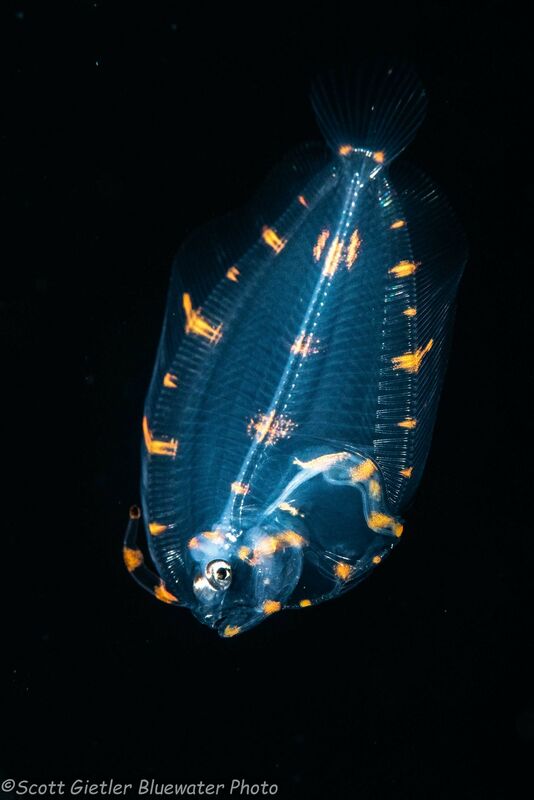 Water temperatures cool down slightly in January, February and March, but those are great times for the best critter sightings. Early December is a nice time to go because there are not too many dive boats out, but conditions are great. Scott, Craig and Mike took turns giving daily lectures on topics such as wide-angle, macro, lighting, Lightroom, and marine life behavior. 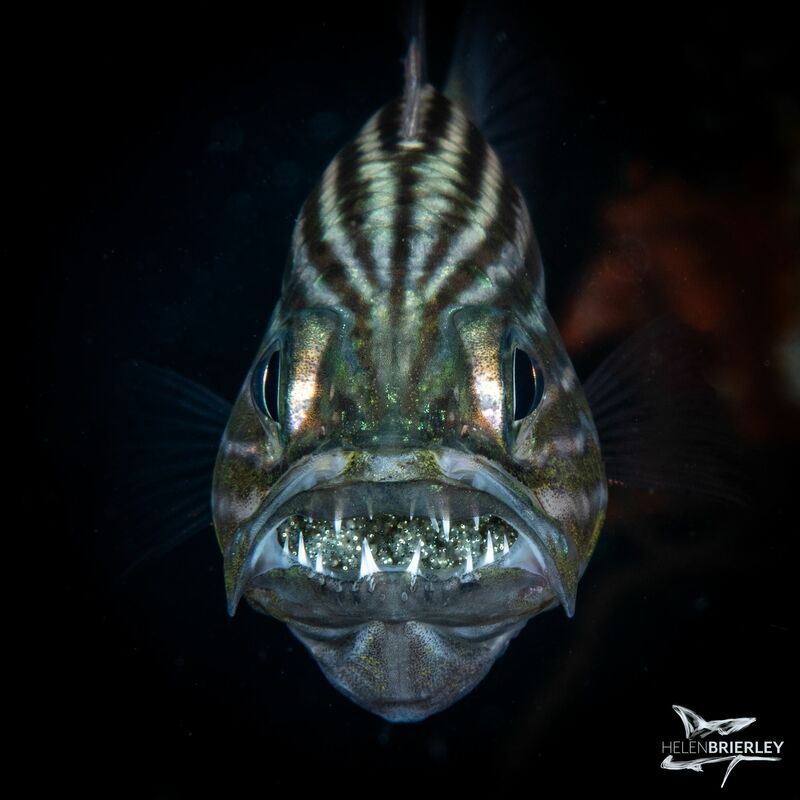 Guests did up to 4 dives a day, including some "blackwater" dives at night where the guests hovered at 50ft depth in 600ft of open water. We were particularly fond of the delicious buffet style meals, which not only get better every year, but allowed people to eat quickly and get on with their diving if they so chose. We rotated between reef, muck, sand, rubble, and wide-angle dive sites. There was also a nice wreck that had cardinal fish with eggs, that we visited. Cameras were kept in the state-of-the-art camera room, considered by many to be one of the best designed in the world. The guides were amazing, and they worked very hard to find us the subjects we wanted. We also appreciated that they took care to treat the marine life with respect. After dinner, guests would edit photos, get a massage, and/or retire to bed early. The resort also has a new bar that we made good use of on our last night. The end of the week culminated with a friendly photo competition. The guests had 36 hours "shootout" style to take their best possible photos or video clips. The results were fantastic! 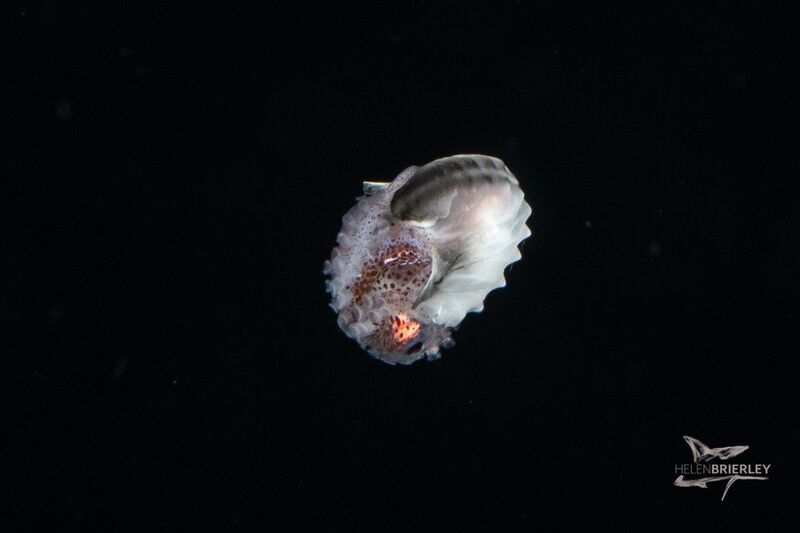 Amazing marine life sightings were early and often. 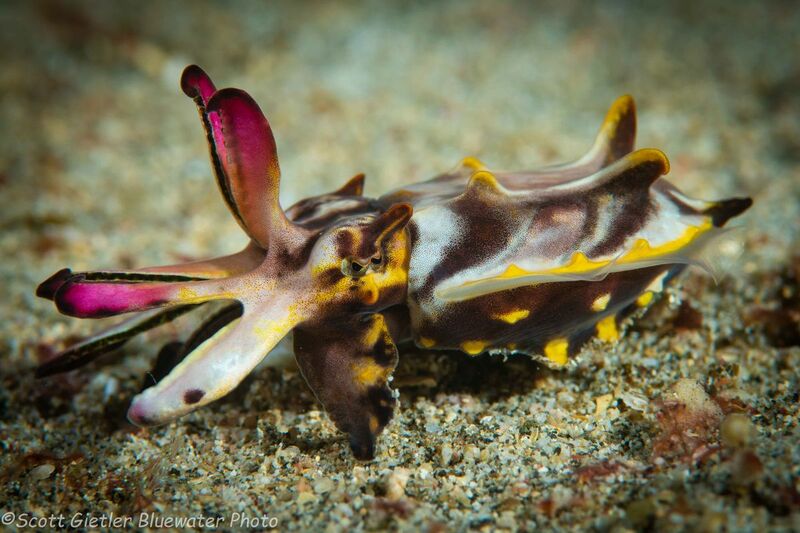 Nudibranchs, pipefish, flamboyant cuttlefish and blue-ring octopus were quickly found at multiple dive sites. In fact, many of those subjects were found within 5 minutes of the resort. 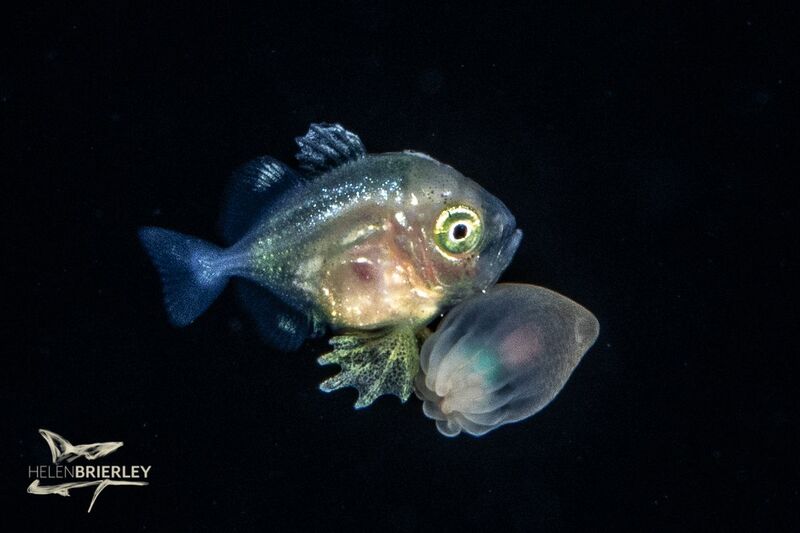 Cardinal fish with eggs were a popular subject at the wreck, as was an electric clam. Clownfish with eggs, mantis shrimp with eggs, various shrimps and crabs were popular subjects. 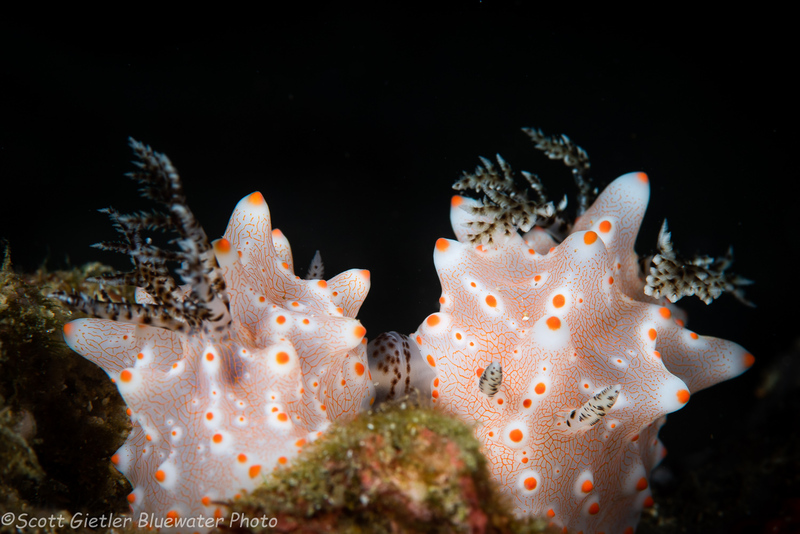 There was a large variety of nudibranchs on the dive sites, and a good number of squid and cuttlefish of all sizes seen day and night. Octopus were plentiful throughout the trip, and we saw a number of frogfish, ranging from babies to giants, although not in huge numbers. 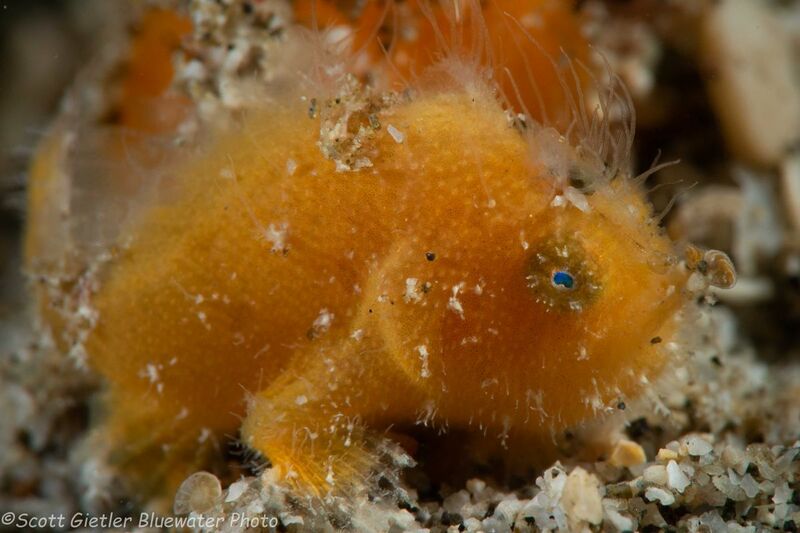 Guests who wanted to see microscopic pygmy seahorses were not disappointed. 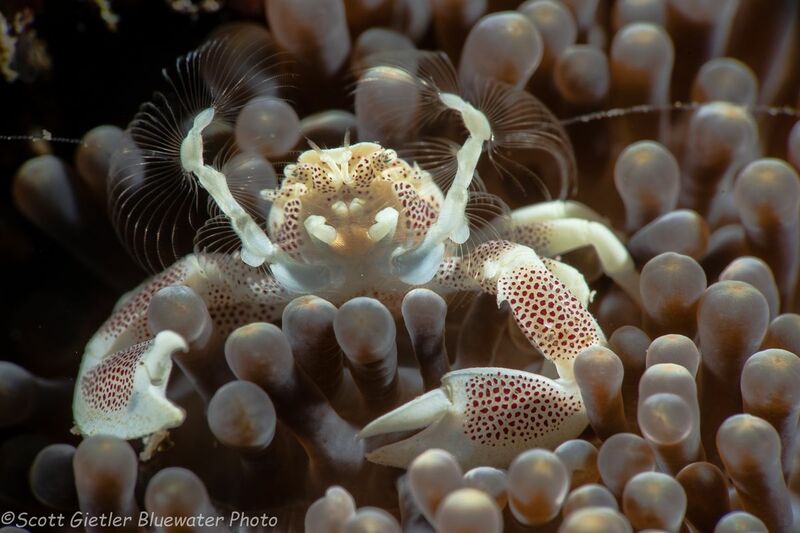 On the blackwater dives, the subjects were simply stellar - although hard to focus on. 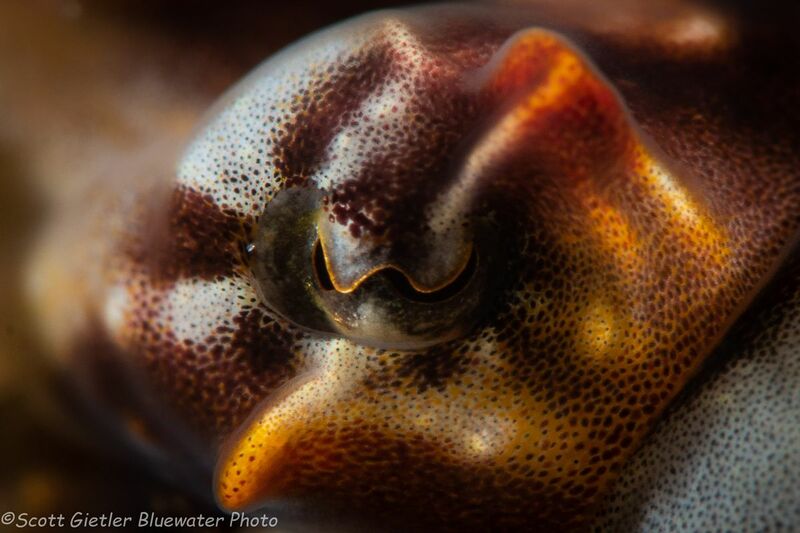 Paper nautilus, exotic jellyfish, larval stage flounder & mantis shrimp, larval stage diamond squid, salps, pelagic gastropods and more were seen throughout our numerous blackwater dives. 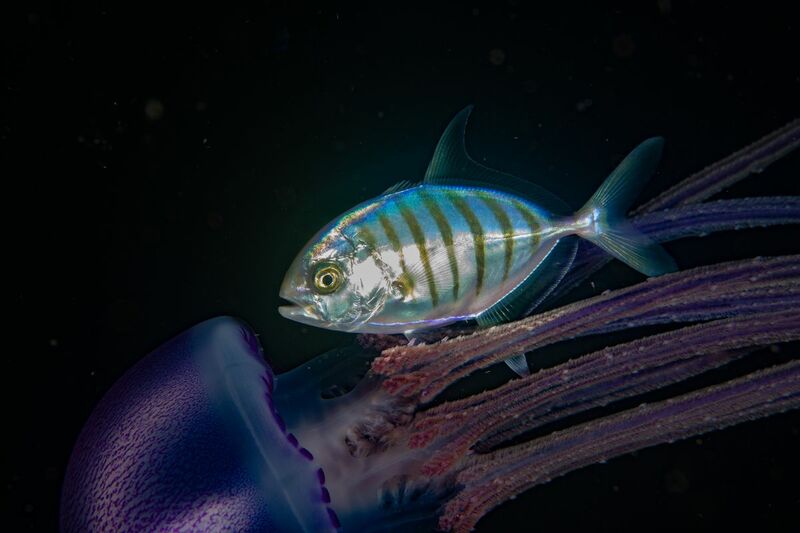 One of the favorite photos from the trip was a large purple jellyfish with a commensal fish tagging along besides it. 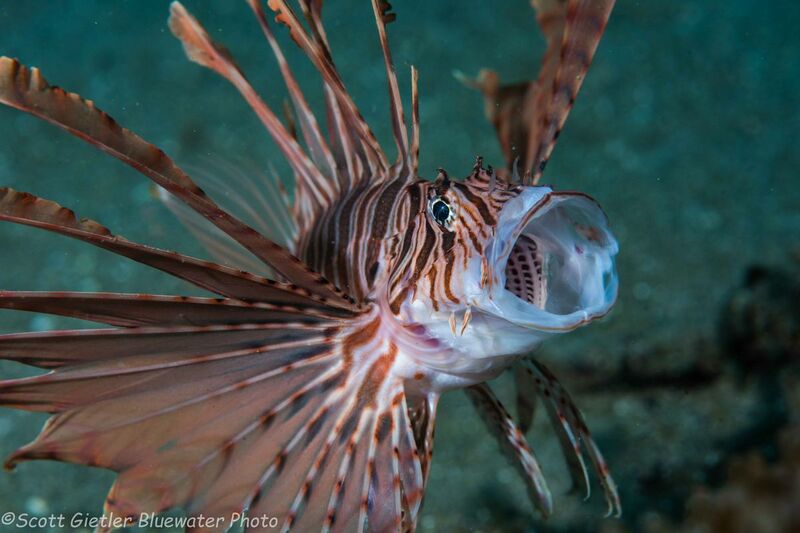 It is fair to say that at the end of the trip everyone felt like they had seen an enormous quantity and quality of excellent dive sites and diverse marine life. All memory cards were full! Some guests even stayed an extra 3 days to further explore the arAnilao dive sites, while others moved on to nearby Puerto Galera. Bluewater Travel has the Puerto Galera resorts pick up the guests via a high-speed boat directly at the resort, which is ultra-convenient for the guests. Many guests are repeat guests on our Anilao trips, and we hope you find time to visit this special place. We run 3 trips a year to Anilao, in April, May and December each year. 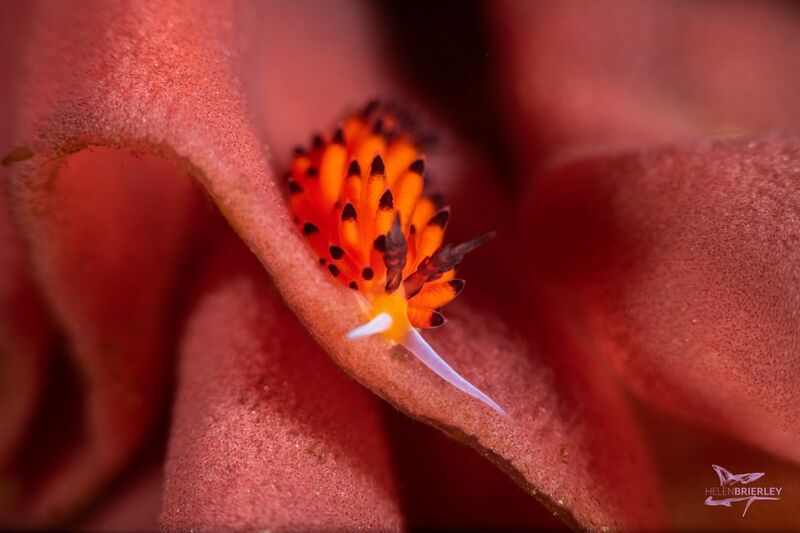 I consider it a must-do destination for underwater photography or video, or to see rare critters, a huge selection of nudibranchs and countless species of reef fish. Our staff know the resorts inside and out and can help you plan the perfect Anilao trip at no additional cost. Permalink Submitted by Maureen Kverek on Thu, 01/17/2019 - 17:39. Loved, loved, loved everything about this trip. 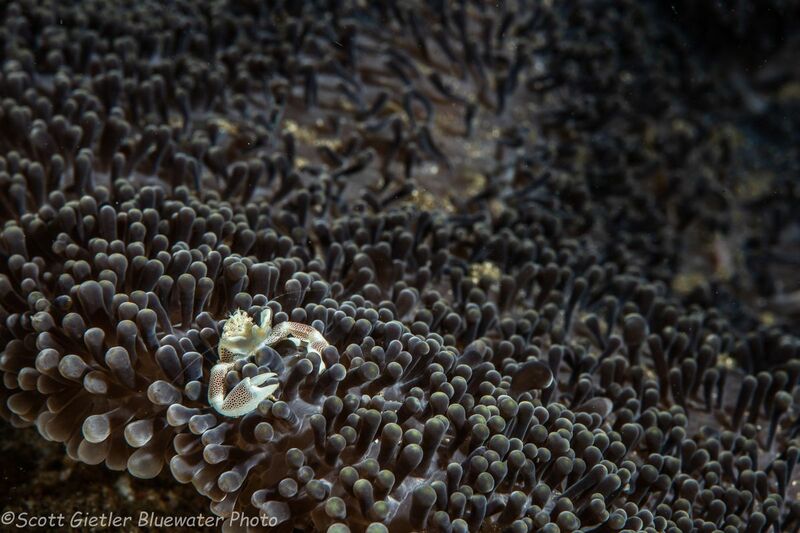 Great photo workshop, very organized, great food, fabulous resort, tremendous diving, friendly staff and guests. We will definitely be back! 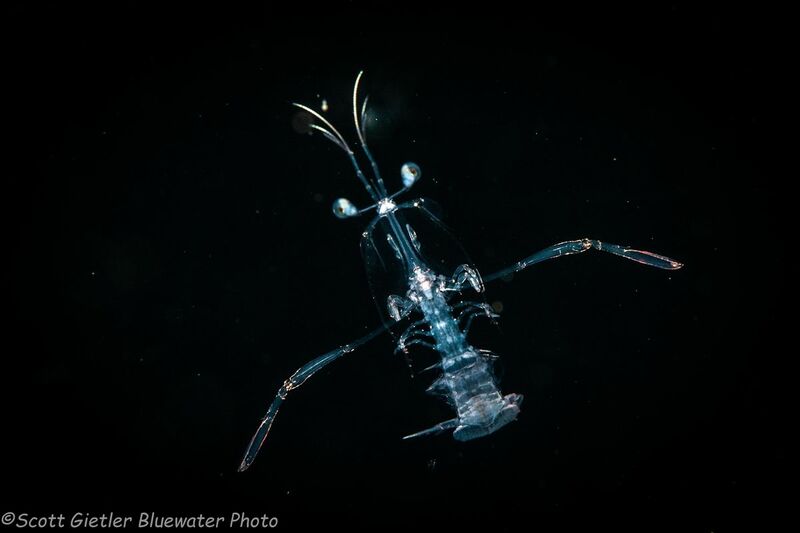 Still amazed at the photos we took and how many amazing critters we found. Thank you Blue Water for making all the arrangements. Permalink Submitted by Travel Editor on Mon, 01/21/2019 - 04:29. Thank you for this kind comment, Maureen. We look forward to hosting you again!